It was exactly two years ago. What, you might ask? I make no secret that my anniversary and the day my late wife passed away are the same day and that day is in March. It’s not my late wife’s birthday, which I still feel like I always got wrong. That’s coming, but it’s in a couple weeks. Today marks two years to the day I started writing in this blog. It came roughly 6 months after losing my wife, the idea to write up a small part of what happened each day. You might think I had the kindest or best of intentions. I probably tried to convince myself of that as well. The reality is, though, that my intentions two years ago were purely selfish. Six months into being a single Dad I had already moved into a new home and set up everything for the kids. The children spent the summer in Nebraska so that I could work at a new job without having to take any time off. By October, those kids had all come back and started school again. 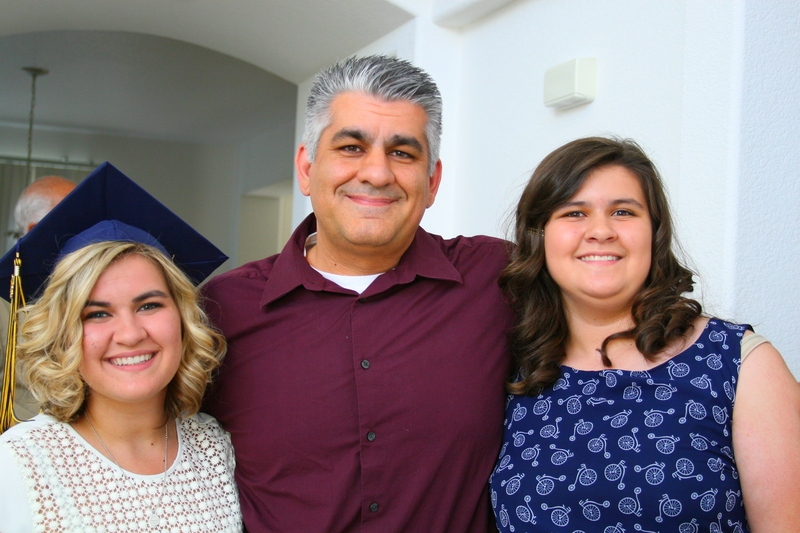 I had to cook, clean, do laundry – which I was notorious for messing up – and basically be Dad and Mom to two kids. That, however, was not the bothersome thing for me. For whatever reason, once I had come to an acceptance of Andrea’s leaving I embraced the toll parenting alone would take. It’s not as though I was not used to cooking or cleaning or any of those things. I was a fairly involved parent. The reason for the blog came with what happened around 9pm every single evening. It really is that simple. I got the kids showered, teeth brushed, pajamas on, all tucked in and prayers extolled. My day was far from over at this point, but I had them all snuggled up and feeling safe because I was downstairs taking care of everything. That’s when the silence hit. I hadn’t really realized just how much my wife and I talked, about everything, until when I needed to talk to someone about intimate, detailed things in my life that person was gone. The absence grew all the more notable after the four children were in their beds sleeping. Then the silence was crushing. I started to try writing in a journal and I posted many of those as the initial entries here. But that didn’t cut it. I had no real motivation to put pen to paper, intimate as that was. Then a former colleague told me I should just post these things in a blog. The idea of people reading what you wrote pushes you to keep writing and you write what you’re feeling which helps you process the fact that you’re now alone, after being married nearly two decades. So in an attempt to stop myself from losing what little sanity I had left . . . I wrote. Every day, as a matter of fact. Here I am, two years later, and the weight of the silence has lifted. I see things, hear sounds, smell foods, they all still remind me of Andrea. The interesting thing there is that you never really “get over” the person you lost. You will always live with them there in your presence it’s just they’re not tangible. That makes the loss harder because you cannot get angry, sad, happy, and discuss that one thing you’re dying to tell them out because they’re not here to react. 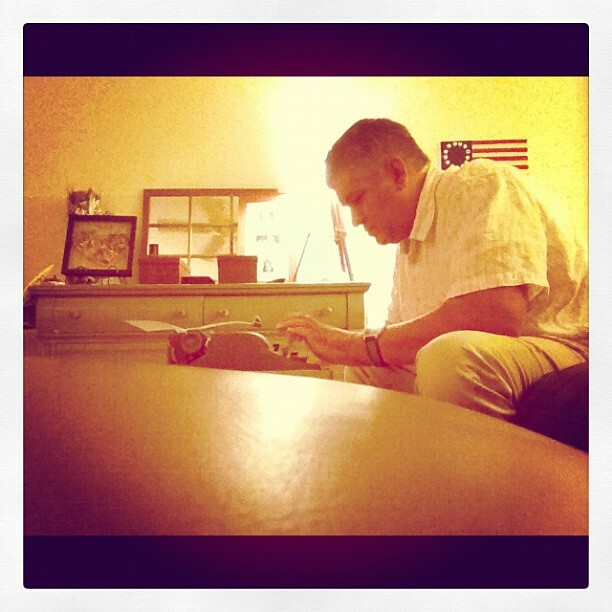 Dave Manoucheri – the writer at work. Two years later I laugh more than I did two years ago. I also write less. The need to publish every single day diminishes as I see an attractive woman on the street and don’t feel guilty for thinking that she is attractive. I talk with friends and nothing in the conversation makes me miss Andrea. When I do see or hear something that makes me miss her . . . it’s a moment that makes me happy I knew her, it doesn’t ruin my entire day. Certainly, some days are harder than others. My children still struggle. The impact your spouse has on your life isn’t just the positive impacts, the negatives carry on and my children have to face those without the ability to ask or confront their mother about them. Still . . . it’s been two years since I started . . . 2 1/2 since Andrea passed away . . . and you can see a pattern in my writing. The sentences a little less creative, but the imagery far brighter. It’s been two years . . . and while I have loved the outreach and the kindness of those who read my minor tomes . . . I look forward to a different day . . . the day when I won’t post here any more. That day means I’ve finally reached a point where the silence just has no sway over me any more. In the meantime, I’m glad you’re here! Funny how seven small words can have such an impact. Your comment made my day. Thank you very much!